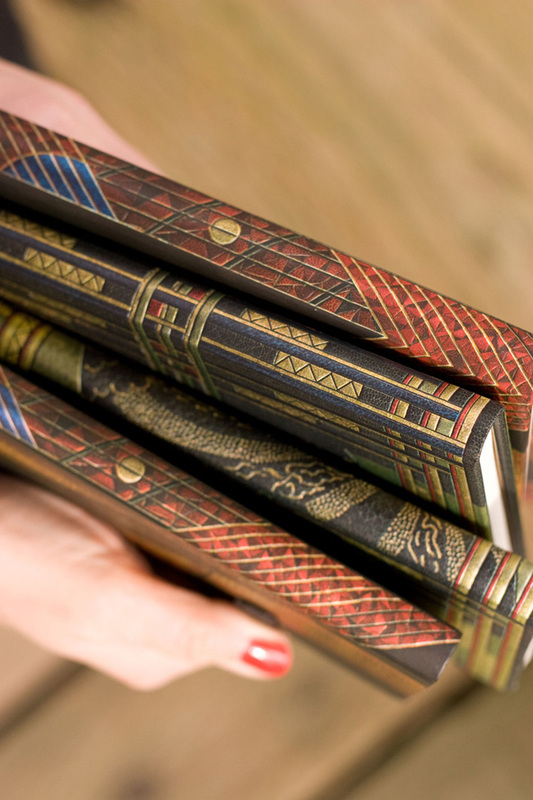 We are pleased to spotlight one of the newest collections from Paperblanks’ Spring 2011 catalog: Literary Art Deco. 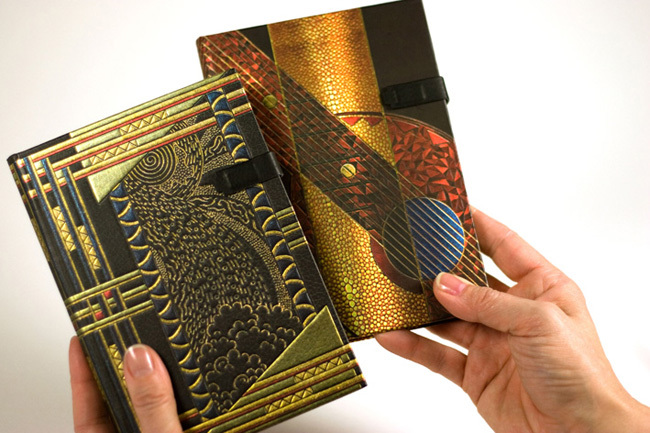 Available in both midi and slim formats, the two covers of these journals were inspired by the lavish designs of France in the 1920s and ’30s. 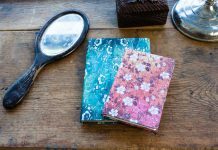 What style could be more à propos to grace the covers of these journals than the lavish designs of France in the 1920s and ’30s? Bridging the gap between fine art and everyday objects, the Art Deco movement left behind the manifestos and politically charged notions of its early 20th-century counterparts in favour of a purely decorative luxury. 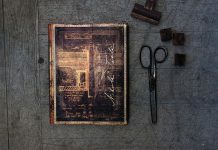 The first of our two covers reproduces a fine French binding, crafted in 1932 by Christian Pitois, of the opera “Contes d’Hoffmann,” the story of a protagonist being wooed by that subtle and irresistible muse, poetry. Our second cover features Paul Gruel’s binding of the 1927 volume “Les ballades françaises” in a sumptuous abstract interpretation, combining the clean lines and strong curves of the Art Deco style. 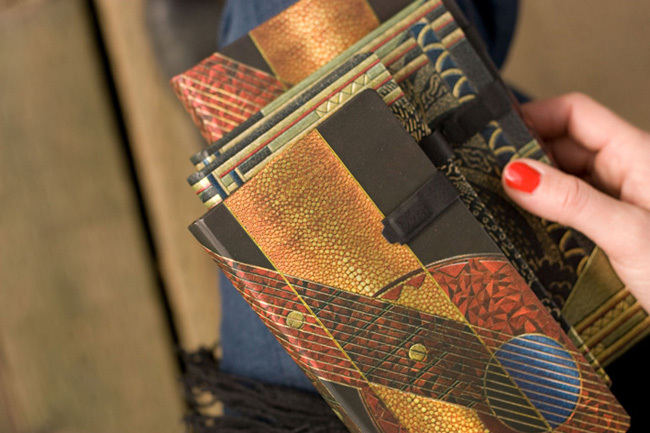 The original cover creations employed ornate materials (leather decorated in gold and mosaic patterns) to create a deluxe objet d’art. 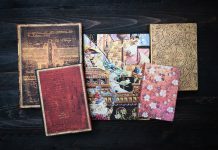 Our reproductions of these bindings are the perfect tomes to contain the extravagant musings of anyone captivated by the literary and decorative arts. 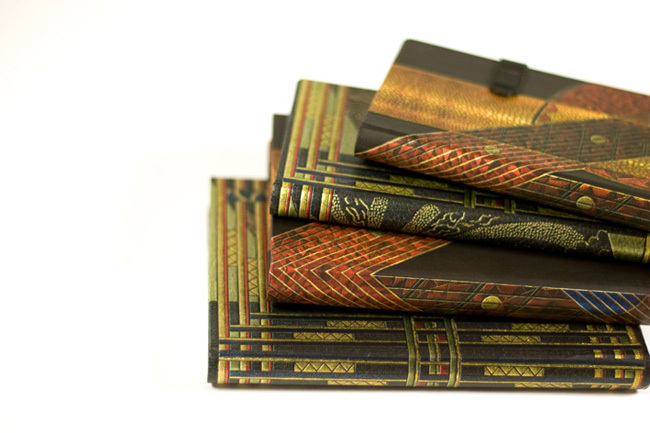 Looking for Paperblanks® products in your area? 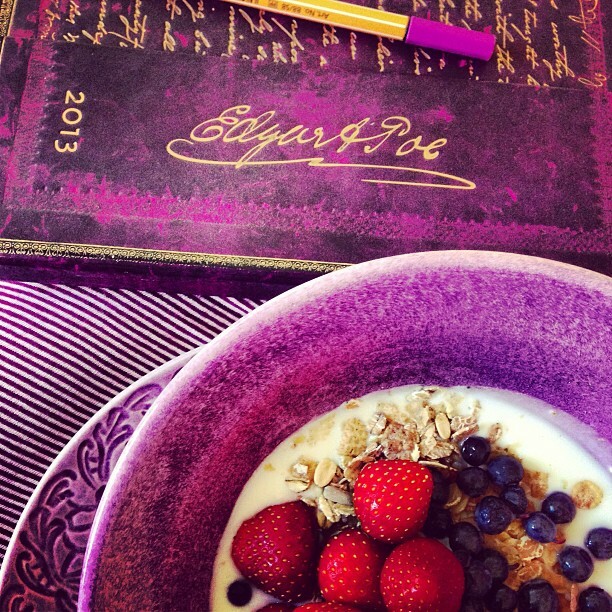 Our Find a Store Near You page allows you to find the retailers in your area.